Learn how to crochet a sweater step-by-step in the Dwell Sweater video tutorial. 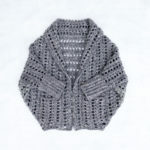 This is a fantastic beginner sweater pattern because there is no shaping, increasing or decreasing. 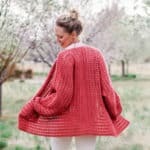 Scroll to the bottom of the post for the video tutorial and get the complete free Dwell Sweater written pattern here. 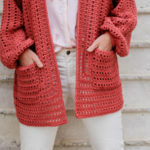 This “How to Crochet a Sweater” video tutorial is part of an ongoing collaboration with my friends at Lion Brand Yarn. This post contains affiliate links. Well, if that describes you, this video tutorial has your name all over it! The Dwell Sweater is based on extremely simple construction, yet it comes together to create a quite cozy and stylish end result. The chunkier Lion Brand Wool-Ease Tonal yarn makes the entire sweater work up surprisingly quickly (I made mine in less than a week and I wasn’t even crocheting like a maniac! ), while still maintaining a beautiful and comfortable drape. In this video tutorial, I show you each step of the process of crocheting the Dwell Sweater, including how to crochet the initial rectangle using the zeros and crosses stitch, how to seam the rectangle into a shrug, and then how to add the collar, sleeve cuffs and (best of all!) pockets. You will definitely want to reference the free written pattern while working from the video because you’ll need to know specific stitch and row counts for the size you’re making. And when you’re finished, you can find all my other free crochet sweater patterns here! You can find the free Dwell Sweater pattern (sizes S-3 XL) here. The ad-free, printable PDF with stitch chart is available to purchase here. Ooo ooo ooo I think I can do this! I have always been intimidated by the arm portions of garment patterns and when I try, I just end up abandoning them. So thanks! Plus , you have instructions in my size, yay! Yay! Yay! Yay! Hope you enjoy, Deanna! bonjour madame je ne sais pas traduire la vidéo dell sweter en francais pour pouvoir confectionner le gilet. merci bcp de votre travail ! The video is unwatchable on this webpage. Is it posted some place else? Thanks. Booo! I’m sorry it’s not working for you. I’ll look into that. Which web browser are you using? I haven’t gotten it on Youtube yet, so right now, this is the only place to view it. You might just try loading the page in a different internet browser and see if that works. I just started the Dwell Chunky shawl and finished my SC row. I am making s/m – it looks even but my SC count is only 82 SC’s. Shouldn’t I have 95 stitches? May have messed up already. I have all the x stitches and they look right. I believe you should have 91. Essentially, you “lost” four chains to the turning chain of the first row, so there should be your starting amount minus 4. Maybe recount or measure your work so far to see if it’s the width I list for the SM rectangle? 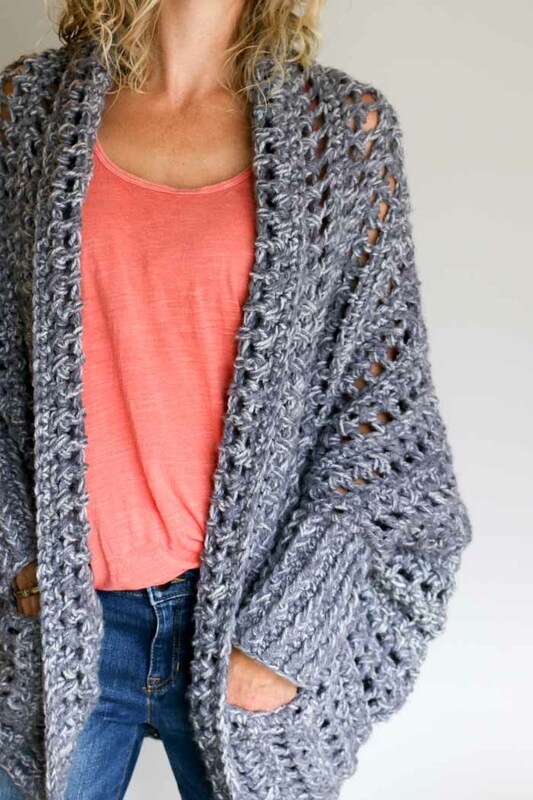 Do you think you will ever do a full video on the campfire cardigan? I loved your sweater video. Jess, i am getting an urge to make this sweater today, i wish i could do that but working on afghans which will take probably a week or so, would definitely want to share it with you. 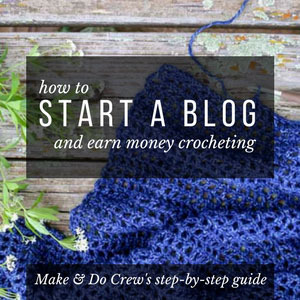 Your instructions are so clear and concise in the video that even a beginner crocheter can start. Thanks tons for sharing it. I will also subscribe to your blog for more posts like this. I’m so happy to hear that, Hannah! Thanks for the feedback! I would love to make your Dwell Sweater but I can’t get the video to load with either Explorer or Chrome! Would you mind sharing what browser this video will work with. I have completed the first row using the the single crochet and chain stitch combined but I need the video to carry on. I’m so sorry to hear you’re having trouble. I know others are able to view it in Chrome, so perhaps it’s specific to your browser? I’m hoping to get it up on Youtube soon, which I’m guessing will work just fine for you. If you have a smart phone, is it working on there? finished this in 4days, YOU ARE AMAZING! goin out tomorrow for yarn to make your awesome slouch slippers for this winter! YAY! I’m happy you’re here! Love this sweater. It works up super fast you! But I was wondering if you could give me the length across the recrangke. Jess, Hi! I love the sweater pattern, but am not a fan of chunky yarn. I’ve made a sample of it in regular medium (4) weight yarn and I really like it. My question is, for the starting chain, and for the sleeves will just doubling the chain counts work? Thanks!! I would make a little swatch and get an idea of the gauge. Then you can determine your stitch counts based on making a rectangle a similar size to what I list in the “main rectangle” section of the pattern. You’ll want to start with a chain in a multiple of 2 and then add 4 additional chains for the foundation ch. How many little windows should I have for the s/m size sweater? I bought the pattern because it said it had the stick count but its not in the pattern. In your story here you say to refer to the free written pattern. When i click on where to get the written pattern it says i have to pay 2.75 for the add free pattern. No offence but thats not free and not every one has a credit card. Just finished watching your video for the chunky cardigan. I love it!!! Always been afraid to try something like this but your video tutorial seems easy to follow. I will give it a try starting tonight. I’m on my second sweater but I’m having an issue with the collar. Or rather, the very obvious transition from the body of the sweater to the collar along the bottom. It’s like a 90* angle there but on yours it looks pretty straight across. I don’t know why both of mine ended up this way. I followed your video and pattern exactly…or so I thought. Do you know what I mean? Where the pockets go, it’s a definite drop down. Thank you for the pattern. I love it! I gave the first sweater (the guinea pig 😜) to my sister and keep the second one for myself. Hello, I’m so in love with this cardigan, it’s just beautiful. I’ve started it and when I was watching the video, I noticed that when your doing the stitch, that you pull up on the yarn which makes it kinda loose . I tend to crochet tight, but not to tight, but not a A’s loose as yours. Will this make a difference in the size , and if so should I just add a few more rows if needed? Thanks in advance for any advice that you can give me. Hi Jess, I’m trying to view your tutorial and it’s pitch black. I was able to see the ad in the beginning and last night I was able to watch it from start to finish with no problem. Is the video on YouTube? Thank you!!! I have started this a few times and I am not sure what am I missing. I am doing the LG/XLG one. I do my chain and after following instructions I end with 53dc only. Am I not to skip one chain from the foundation chain? When you’re counting your total stitches to match the stitch count in the pattern, are you including ch-1 sps? The stitch count in the pattern includes all the stitches in the row. I have started this tonight. I am just curious how long does it normally take to make? I worked nonstop 4hrs and only made it to my 4th set of “X” stitch. BTW your video made it very simple to learn! Thank You! So I’m confused. The free pattern says the model is wearing a s/m so the original triangle would have 12 “windows”but in the video I️ counted 14? Also you said you ended the rectangle on the 2nd row but it looks like to me you ended on the fourth and that’s what the pattern said too? Could you clarify? I’ve just completed the rectangle. It’s so lovely so far! Can’t wait to wear it. I don’t see anything about blocking in the pattern.shoululd I go ahead and do that before I start adding the parts? Hello!! 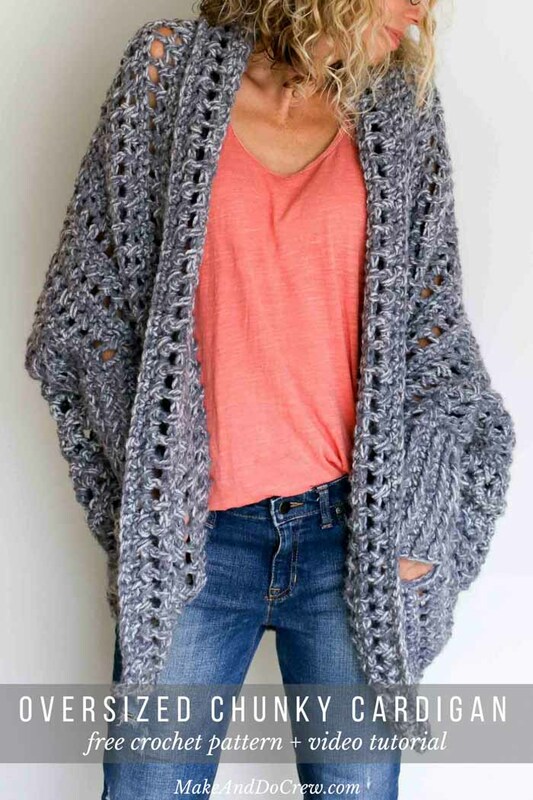 I love the look of this cardigan! I’m looking to do this exact shape but without having the large holes! Do you recommend a stitch that will provide a chunkier look (similar to cable knit that doesn’t have holes)? Sort of like how you have the cuff stitched (very close together) (sorry forgot to mention that in my comment! haha! Hey! 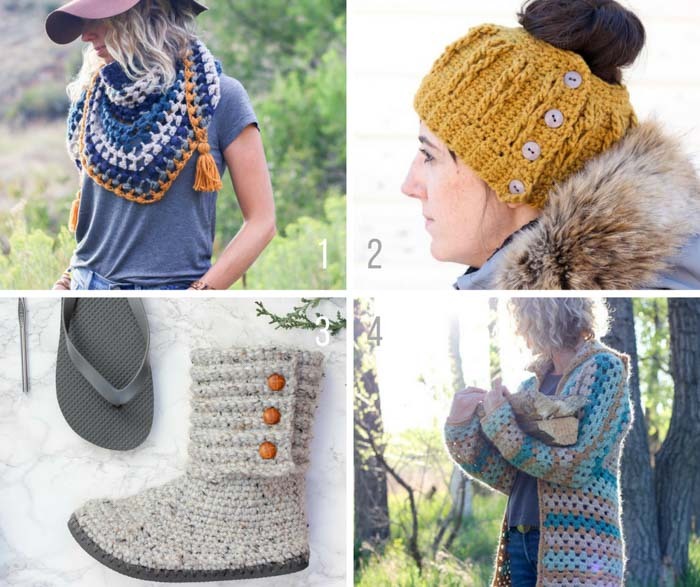 I bet you could find some good options in this list of crochet stitches I put together! I also did this tutorial on making crochet look knit. This stitch works flat or in the round, but it looks a little more like knitting in the round. Great! Ill take a look at those links! Thanks so much! Can’t wait to get started! If you want to use 2 colors for the sweater what would be your suggestion on when to switch? Hmm. Maybe use a different color for the collar, pockets and maybe sleeves? Send me a pic if you do–I’d love to see! Hay Jess thanks for pattern I’ve got 12 blocks completed think it’s short can I add more blocks. Thank you. I’ve tried watching the video on 4 different devices and it freezes and closes out. Is this on youtube? I’ve not been able to find it. Also, The written pattern confused me a bit. It says for the largest 14 window rows but that looks really small. I’m sorry you’re having trouble. It will be on youtube soon. The windows reference is in regard to the height of the rectangle. Each window represents 3 total rows. Jess iv sewed seams of rectangle lm not sure wer to start the collar. Thank you. Do you happen to have an alternate stitch to avoid the little ‘windows’ created btvthe row of dc ch 1. 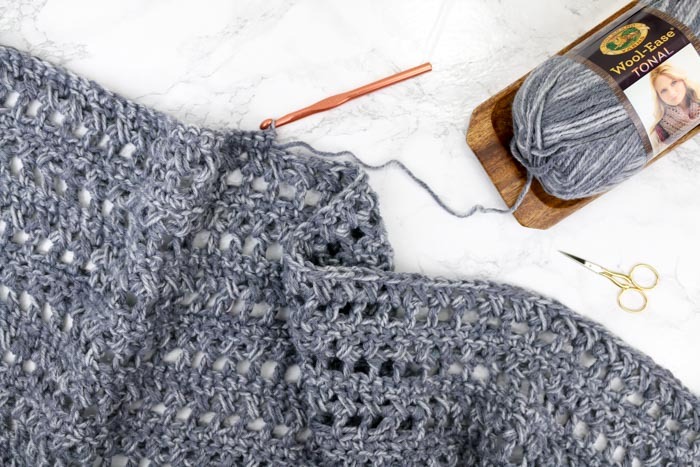 I would like a tighter stitch and was wondering if I would do two rows of single crochet instead of the row of double crochet? 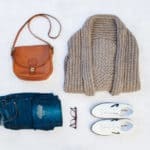 It grts cold where I live and would love to make this to wear in the winter! Any suggestions?? I love this pattern. I’d love to see how that turns out. I know a few other people have wanted to make their sweaters extra warm too. Hi! I love the pattern as well but the XL/XXL Patten is too small. The sleeves come out too short and where the sweater meets the hips, for those of us with larger hips, it curves back making it look WAY too small. Even after working the front and the collar on to it. I am going to have to modify it. It seems that even the XL/XXL size if for a small woman like size 2 to 5. Not quite the average sizes. Thanks for the feedback on this. I’m curious if your gauge was the same as the pattern calls for? The pattern as written for a medium would be far too large for a woman’s size 2-5, so I’m interested to figure out why yours is so small. For reference, the model in the photos is wearing the small/medium, is 5’8″ and wears a size 6. Your sweaters are beautiful. I am just learning to crochet but would love to try one of your patterns. I’ve frogged this thing 3 times – After a few repeats of the pattern the rectangle starts turning into a triangle. I hope after watching this vid, I can figure out what I’m doing wrong before the yarn I’m using is too tired to work.